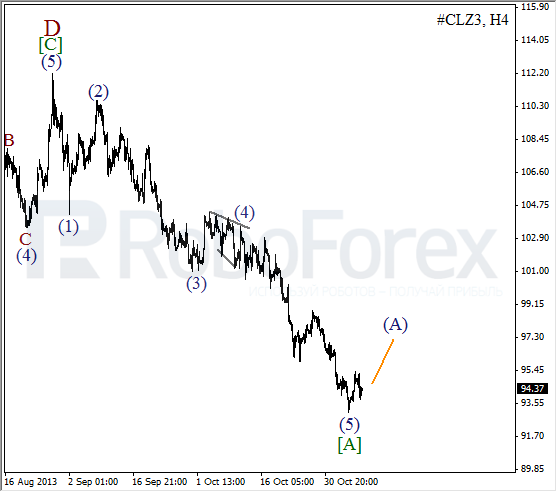 After completing the fifth wave, the Index started correction. Probably, instrument is forming bearish impulse inside wave [A]. In the near term, instrument may continue falling down. 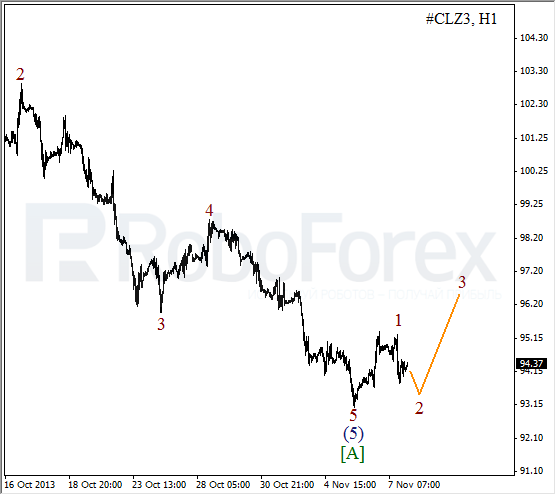 As we can see at H1 chart, after fast growth inside wave (5) of , price made fast descending movement. Possibly, on minor wave level, instrument is forming the fourth wave. Therefore, on Friday the Index may start falling down inside wave (5) of [A]. Current chart structure implies that Oil completed descending impulse inside wave [A]. Probably, on minor wave level, bulls formed initial ascending impulse. After local correction, I expect price to continue forming wave (A). More detailed wave structure is shown on the H1 chart. 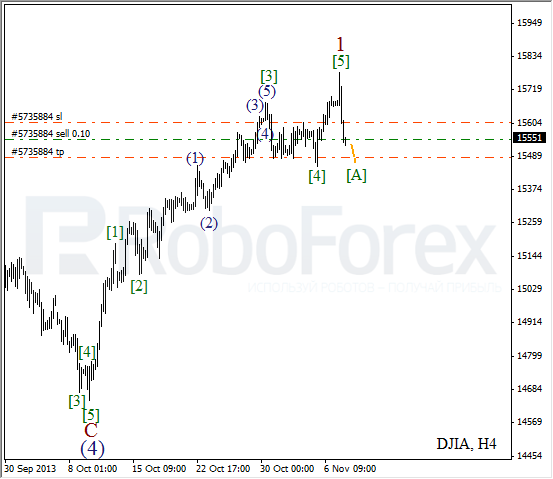 After bearish impulse inside wave 5 of (5), instrument is trying to make local reverse. I’ll start buying as soon as Oil forms the first wave inside wave 3.